Craft beer geeks have a tendency to desire specific, exact definitions when it comes to beer styles. If they see a porter and a stout, side by side on the same beer bar’s menu, they’d like to believe there’s an innate difference between those two styles. It’s only natural—we want to be able to accurately label and classify things, to better understand them. But given that American brewers don’t actually follow strict guidelines when naming and classifying their products, this desire is sometimes misguided. That porter, and that stout? They might very well share almost exactly the same mash bill, and you can be almost certain that the brewers chose to call their beer “porter” or “stout,” based not upon historical fancies but which title they thought would sell better in their market. So it is also, at least to extent, in the odd corner of the IPA universe that is “milkshake IPA.” If you google that term, you’ll see plenty of definitions … but good luck finding one that every brewer will agree with or hold to. The fact of the matter is, this style is still new enough that brewers are simply labeling many different styles of beer with the “milkshake” label, and hoping they sell. Some are even trying to argue that “smoothie IPAs” are an entirely separate category from “milkshake IPAs.” Whether these terms will ever coalesce into a more concrete definition, only time can tell. However. If there is one concrete thing you can say about milkshake IPA, it’s this: A milkshake IPA should definitely contain unfermentable milk sugars, in the form of lactose. Yes, many are fruited as well … but not nearly all of them, as this blind tasting made quite clear. 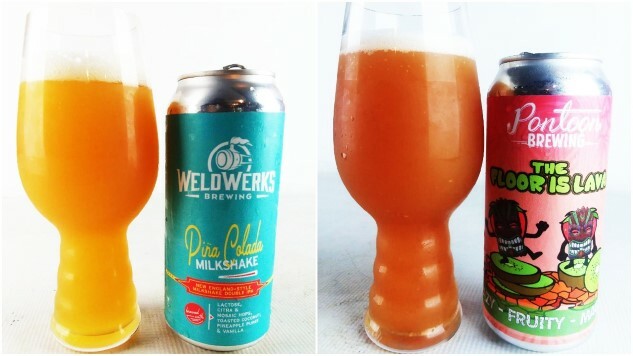 Many are spiced, many are fruited and many are otherwise flavored, but there are plenty of breweries that are simply adding lactose to their regular IPAs—even non-hazy IPAs!—and calling them “milkshake IPAs.” For this reason, just seeing the words “milkshake IPA” on a beer label tells you very little about what exactly to expect. The other, more unfortunate, thing to say about milkshake IPA is that many of them are just plain bad—syrupy, saccharine sweet monstrosities that have been completely dominated by fruit or spice additions to the point where they’re close to undrinkable. Vanilla is often a key culprit, and we’ve tasted more than one milkshake IPA that had all the seeming of a melted Yankee Candle. If we’re being reminded of Southern Tier Pumking while drinking a milkshake IPA, that’s a very bad sign. But with all that said, when done well, some of these milkshake IPAs are actually sort of great. It’s a delicate feat to find a perfect balance between strong flavors, sweetness, mouthfeel and drinkability, but more and more breweries are finding ways to pull it off. We managed to gather 27 of them, so let’s check out who impressed. As in most of our blind tastings at Paste, the vast majority of these milkshake IPAs were sent directly to the office by the breweries that choose to participate, with additional beers acquired by us via locally available purchases and the occasional trade. We always do our best to reach out to breweries we’re aware of that make exemplary versions of particular styles, but things always do slip through the cracks. We apologize for a few significant omissions that we couldn’t acquire, either due to seasonality or market shortages. There will never be a “perfect” tasting lineup, much as we continue to try. - This is a tasting of milkshake IPAs, largely determined by how the breweries chose to label their products. All beers had to be labeled or described as “milkshake IPA” in some capacity, or at the very least contain lactose. When in doubt, we simply allow a brewery’s marketing to define a beer’s style, and expect them to stick to the designation they’ve chosen. - There was a limit of one entry per brewery, in the interest of limiting the sample size of the whole field to a manageable number. The beers were separated into daily blind tastings that approximated a sample size of the entire field. Like just about any Paste tasting, there’s some bad beer here in the field—there’s no hiding it. In milkshake IPA in particular, there’s a capacity for things to go very, very wrong. With that said, there’s also plenty of milkshake IPAs here in the field that drink very nicely—we just decided to limit this top group to 10, given the smaller size of the entire field of entries. 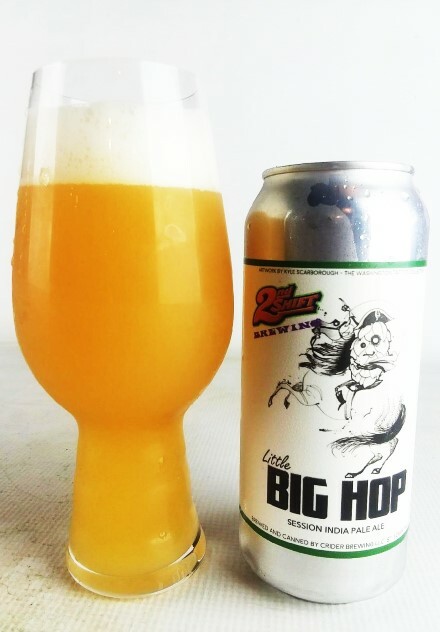 Ultimately, what we were looking for were IPAs that delivered both the decadence you expect from the style, and a decent amount of drinkability, without losing sight of the fact that “IPA” is part of the beer name. As always, the beers below are simply listed in alphabetical order, and are not ranked. I repeat: The beers below are not ranked. The verdict: There were several solid milkshake IPAs in this tasting featuring stone fruit—which seems like a natural fit for the style, to us—and this one from Trophy Brewing Co. just edged another peach milkshake IPA to slide into the ranked portion of the list. This one is easygoing and approachable, with a big hit of fuzzy peach and considerable vanilla sweetness, but an appreciable dryness on the back end. 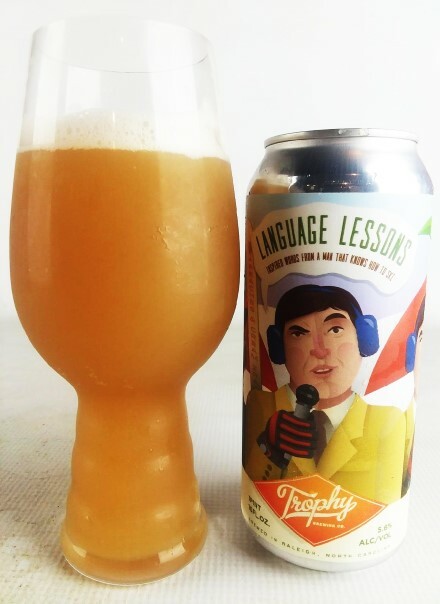 Smooth and gentle, and a bit lighter of body than most of the other milkshakes, this beer simply leans on a well-calculated level of peach flavor to make it universally approachable to just about any palate. Sometimes, that’s what it’s all about—knowing where to stop, if someone is going to drink an entire 16 oz can of your beer. Ah, and as if it needs to be said: We appreciate the Better Off Dead reference and illustration here. 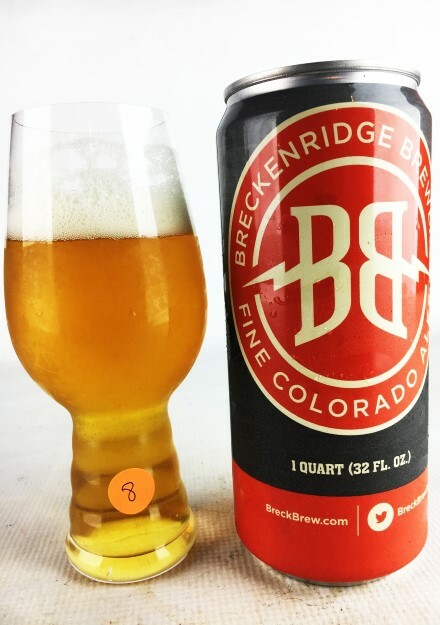 The verdict: If you want proof that a good milkshake IPA could come from just about any brewery these days, then look no further than the AB InBev-owned Breckenridge, which sent in this lovely little ginger affair. This one works mostly thanks to prudence and drinkability—they really dialed in an assertive (but not overwhelming or particularly spicy) ginger flavor, which works surprisingly well with the ribbon of residual sugar and vanilla richness running through it. It’s actually lighter in body than most of the other beers, and it drinks frighteningly easily as a result. Hell, it’s almost in contention to be described as “refreshing,” especially in comparison with most of the other entries. Of all the milkshake IPAs we tasted, it’s one of the few you could reasonably pair with a meal. Make of that what you will, but Breckenridge certainly deserves some credit for their deft use of flavors here. 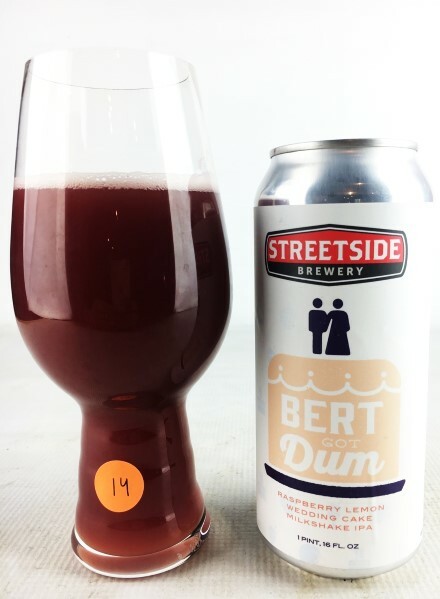 The verdict: This beer can boast one of the crazier sounding flavor descriptions of the tasting, in the form of “raspberry lemon wedding cake milkshake IPA,” but in execution it’s not quite as bombastic as the description might make you think. Rather, this beer is just a well-balanced, fruit-forward take on milkshake IPA that doesn’t go too far overboard on any of its particular elements. 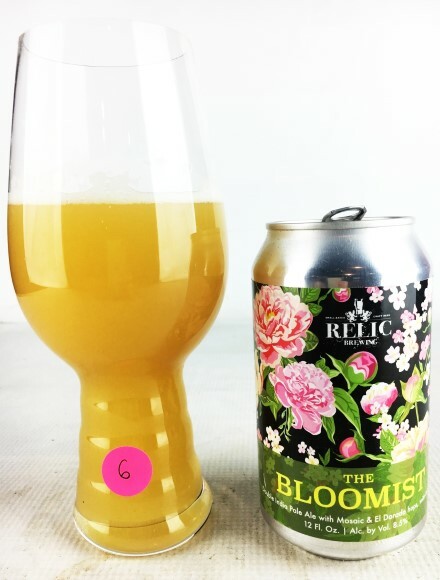 The lemon aspect is mostly represented through a gentle acidity, which doesn’t quite get all the way to true “tartness,” as one would expect with a kettle sour. The raspberries, on the other hand, pop very nicely and distinctly, to the point that you might be able to miss the lemon entirely if you weren’t paying attention. 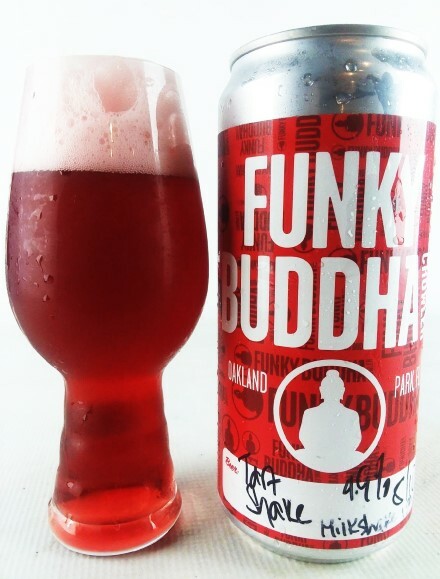 This beer is surely a crowd-pleaser in a taproom setting, and for good reason—it’s very approachable, with a great raspberry base and just enough acid to make the fruit pop. The verdict: This session IPA from 2nd Shift is one of the handful of unfruited, unspiced entries we received—it was made with lactose, but otherwise doesn’t contain the other added flavorings that most now associate with the term “milkshake IPA.” Nevertheless, the milk sugar addition just takes a good thing and makes it that much better—Little Big Hop finds an interesting balance between creamy texture (bigger than you’d expect, given the ABV), doughy malt body and big American hop notes of orange peel, grapefruit juice, and a big wave of grass and resin on the back end. The “milkshake” contribution is primarily a textural one, beefing up the body and adding a silky texture to an explosively hoppy IPA. Sometimes this is a gamble—we’ve seen similar IPAs that take the same concept too far, lapsing into an unnatural, over-chewy texture that detracts from hop flavors—but 2nd Shift achieves something that is pretty close to the platonic ideal, as far as texture is concerned in a hazy IPA. The verdict: There are a whole lot of strawberry milkshake IPAs out there, but few of them really caught our interest—all too often, they were buried under an unassailable mountain of vanilla or residual sweetness. This one from new Atlanta-area brewers Pontoon, on the other hand, trades in complexity as much as it does intensity. Brewed with strawberry, guava, kiwi, vanilla and lactose, it leads off with very fresh, genuine notes of macerated strawberries before segueing into the exotic kiss of kiwi fruit. This beer avoids the cardinal sin of being cloyingly sweet, while also being more ambitious than many of the one-note fruited milkshakes. As one of the tasters wrote in his notes, “complex, and pulls off the experiment it’s going for.” Basically, this is the kind of beer that justifies why the style is worth attempting. The verdict: In the course of this tasting, we experienced several very interesting and successful milkshake IPAs that were at least loosely based around the concepts of classic cocktails—note to others that we haven’t seen a Manhattan-themed one just yet, if someone wants to get on that. This “margarita” monster, meanwhile, somehow manages to pack a 9% ABV into a beer that drinks more like a gose; a very successful blend of tart citrus juice, bright cucumber and something we would have sworn was noticeable salinity. 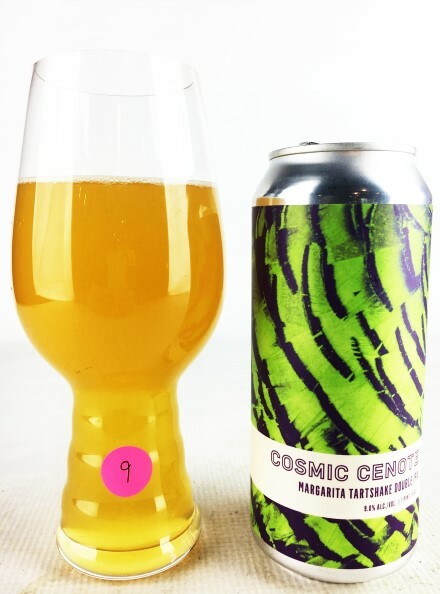 As one taster described it, “garden fresh.” Cosmic Cenote retains a little bit of the creaminess you expect from the style, with a substantial sweetness that feels well earned, as it were—it meshes well with the tartness you get from lime juice. But it’s really the cucumber that ties everything together. A nicely executed concept all around. The verdict: Another entry in the “only hops” camp of milkshake IPAs is this submission from Connecticut, essentially a DIPA loaded with Mosaic and El Dorado and then given the lactose treatment. 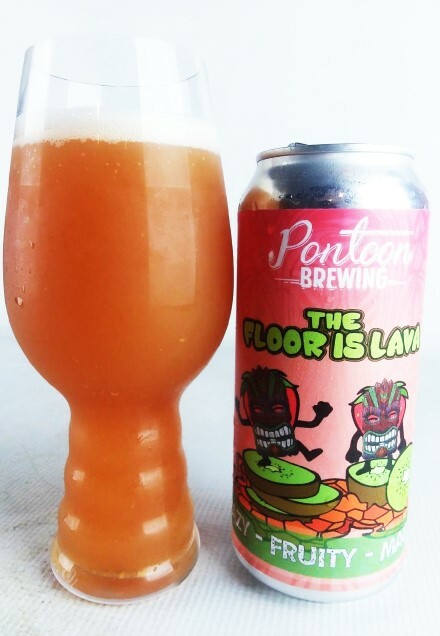 It all works in this beer’s favor—what you end up with is an intensely tropical juice bomb, awash in notes of pineapple, blood orange and melon, which closes with grassy, resinous intensity and just a hint of bitterness. The creamy texture and chewy thickness you’d expect to get is certainly there as well, which edges up against the border of being “overly grassy” without stepping off into the muddy, sediment-choked abyss that doomed so many IPAs in our last blind tasting. In general, this tasting proved that one of the most attractive ways to make a “milkshake IPA” is to simply let the hops do the talking in terms of providing bright fruit flavors. The verdict: This is what it looks like when a well-regarded regional brewery assesses a style like milkshake IPA, comes up with their own refined, less absurd version of it, and broadens its appeal in such a way that you could actually drink more than one of them at a time. Ironically, that’s also exactly the kind of thing that will earn this kind of beer derision from certain beer geeks in the audience, who expect something labeled “milkshake IPA” to register as sickeningly sweet and choked with vanilla extract or fruit puree to qualify. 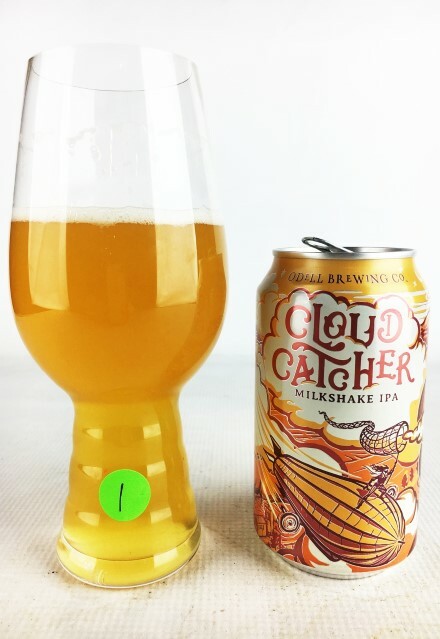 Regardless, this was our favorite of all the non-fruited milkshakes, a wonderfully composed IPA that is bursting with bright, semi-sweet flavors of peaches, apricot and passionfruit, gently supported by vanilla sweetness and a lightly creamy texture. So many milkshake IPAs try to style themselves as “creamsicle” in nature, but this one earns that description with poise and subtlety. It drinks effortlessly; the kind of beer you could finish without even realizing you’re doing it. The verdict: There’s a lot of reasons we wouldn’t necessarily have expected to love this beer. Coconut, for one, is a tricky thing to use in a judicious way in a milkshake IPA. So are vanilla and fruit, to a lesser extent. 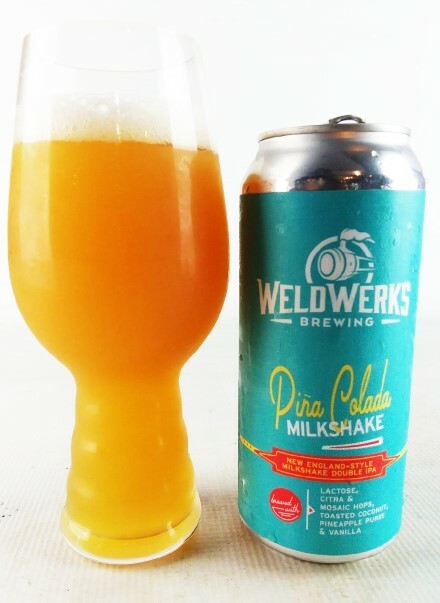 The point is, there are a whole lot of ways that a “piña colada milkshake” could go wrong, so WeldWerks deserves even more credit for making one that goes so right. It tastes absolutely true to advertising—tons of juicy, sweet pineapple fruitiness, made richer by a thread of vanilla cream, and topped up with exactly the right amount of toasty coconut, both unmistakeable and subtle all at once. Reading the label and setting your hopes on how this beer might taste, there’s no way that you could possibly be disappointed by the result. It’s the perfect encapsulation of what a milkshake IPA is able to do when all of its disparate and competing flavors are in harmony with one another, perfectly capturing the ethos of its namesake. If every milkshake IPA could be this good, we’d have beer for dessert every night. Jim Vorel is a Paste staff writer and resident craft beer guru. You can follow him on Twitter for more drink writing.